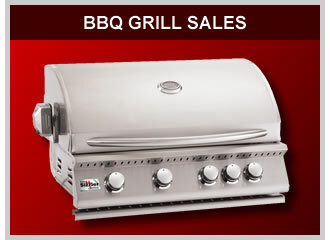 BBQ Renew is your Orange County, CA BBQ Grill Service and Installation specialists. 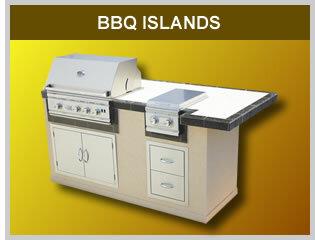 We are experts in Gas Barbecue Grill Restoration, Repair, Cleaning and Custom Installation of BBQ Islands and Outdoor Kitchens. As many Californians are year-round grillers, we recognize that many grill owners want to keep their high-end BBQ Islands/Outdoor Kitchens in top operating condition and BBQ Renew is the premier company providing these services to the discerning homeowner. We are Gas BBQ grill professionals with over twenty years experience and that is why we can provide anything you need or want for your backyard BBQ area. If you can dream it, we can make it a reality! A properly maintained gas BBQ grill will add years to the useful life of your grill and help keep it in top operating condition. A complete BBQ Restoration of your Gas Grill / BBQ Island will extend the life of your grill and provide you with a near-new reconditioned grill. 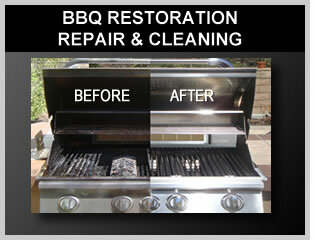 As can be seen in the above picture of our restoration cleaning - we can achieve incredible results where the final product is a grill in near new condition. Although every grill is different and results may vary, we strive to provide you with the absolute best possible result that can be achieved. You may also considering re-modeling your outdoor Kitchen/BBQ Island with a new grill, refrigerator, granite or decorative cement counter-top or other changes. We can help you with all the things you need to achieve your goals. Call us today to schedule a time for us to meet with you to help you begin a layout of your outdoor cooking area designed to your delight and specifications. There is nothing more we enjoy than seeing our customers indulge in the satisfaction of a backyard retreat they truly can appreciate.